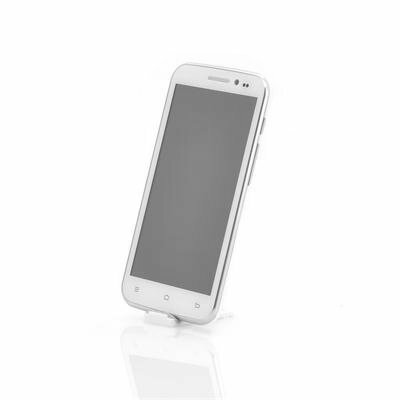 Successfully Added Android 4.2 Mobile Phone "ZOPO ZP820" - MT6582 Quad Core 1.3GHz CPU, 4GB Internal Memory, 5 Inch 960x540 Screen (White) to your Shopping Cart. Android 4.2 Mobile Phone uses a MT6582 Quad Core 1.3GHz CPU as well as housing 4GB of Internal Memory in addition to having a 5 Inch 960x540 Screen is a smart choice for any smartphone user. ZOPO is a high-tech company that engages in research and development, produce, marketing and service of mobile intelligent products. Here is one of their smartphones, the “ZOPO ZP820”, which is a 5 inch display masterpiece of a phone that incorporates all the high quality specifications that lets it threaten other competitors. 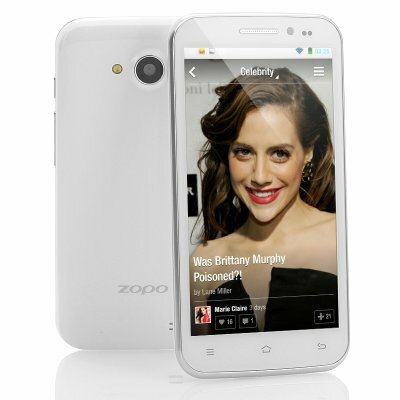 The “ZOPO ZP820” mobile phone comes with an Android 4.2 operating system as well as the online Google Play store that allows you to download and install applications. Applications allow users to be more diverse with their “ZOPO ZP820” phone as they can keep contact with friends via Facebook, be amused with video on YouTube or be entertained with games such as Zombie VS Plants. Performance is everything and the “ZOPO ZP820” cell phone proves this with a MT6582 Quad Core 1.3GHz central processing unit that provides an efficient and response usage. Store all you media and music on the 4GB of internal memory and if that gets full you can expand the existing memory by an additional 32GB using the built-in micro SD card port that the “ZOPO ZXP820” offers. If watching videos is your thing then the 960x540 display will certainly please your eyes as it will show all videos and photos that you might have take with the “ZOPO ZP820” cameras in clear. Skip the lines of the more common and high priced branded phones when the “ZOPO ZP820” has everything they have and more for a much lower cost. This product is in stock and can be dispatched within one working day of ordering with a 12 month warranty. Brought to you by the leaders in wholesale electronics and android phones, Chinavasion.